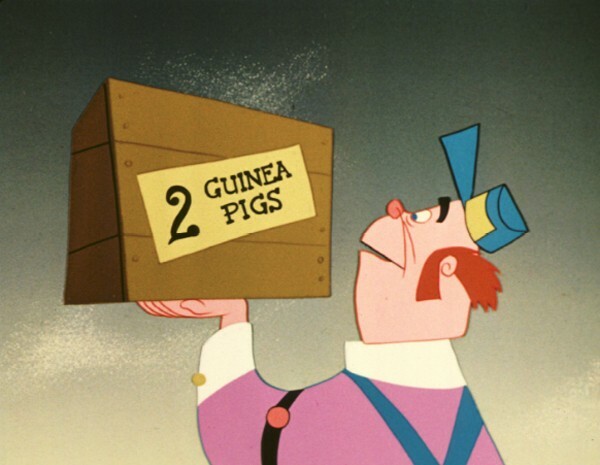 Pigs Is Pigs (film) Special cartoon; released on May 21, 1954. Directed by Jack Kinney. Backgrounds by Eyvind Earle. McMorehouse goes to collect his two guinea pigs from station master Flannery and argues the animals are pets and not pigs, and therefore the shipping charges should be cheaper. While the dispute goes on, the pigs multiply, McMorehouse leaves, and Flannery sends all the pigs to the main office. Produced in the popular UPA style of limited animation. Nominated for an Academy Award.